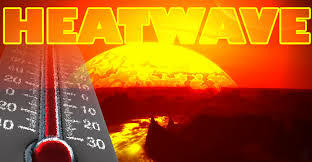 Many of us are loving the long hot Summer but a heatwave poses a potential danger for the elderly. Here are a few ideas to keeping the elderly well in a heat wave. Avoid going out unless early morning and late evening and even then wear a wide-brimmed hat or cap. Cool someone down by putting their wrists under a running cold tap. This cools the part of the brain responsible for heat regulation. Encourage them to eat plenty of salads with juicy ingredients such as cucumber, grapes and melon. Also if you gently pinch the skin on the back of the hand of an elderly person it should still spring back albeit slowly, if not this is a clear sign of dehydration . I have free room thermometers to send out to anyone elderly to ensure their homes are kept at a healthy temperature. Simply complete the sign up form to the top right of this article. Why do elderly people have thick toenails ? Why are elderly people so pale ? I would like to reqest for a free room thermometer please. Hi Robert, delighted to send you a thermometer, but I do need to know where to send it! Please let me have an address. Can you help I’m trying to get some room thermometers I live in Northern Ireland County Antrim and I cannot get any over here can you help me please and thank you. Beatrice, please leave me your address here. It is safe, then I can send you a thermometer.